Teacher candidates who are seeking licensure to teach should be familiar with the licensure requirements and procedures of the state from which licensure is desired. Consult with the Director of Teacher Licensure and Placement, the Massachusetts Department of Elementary and Secondary Education website or the resources in Jenks Library for help in locating information concerning licensure requirements. It is the responsibility of the teacher candidate to initiate the license process. The issuance of a license to teach is the responsibility of the State. In Massachusetts, the licensure agency is the Commonwealth of Massachusetts Department of Elementary and Secondary Education.  All Gordon College students completing a teacher education program are urged to apply for a teacher license in Massachusetts. The possession of a Massachusetts teacher license may be helpful in obtaining a teaching license in a state not covered by the Interstate Agreement. All teacher candidates will have the opportunity to apply for Massachusetts license during the last practicum seminar class. The cost of one license is $100. Each additional license is $25. The teacher candidate should bring a credit card or debit card to the last practicum seminar class. The Director of Teacher Licensure and Placement will submit the application materials to the Massachusetts Department of Elementary and Secondary Education. Gordon's teacher education programs are approved by the Massachusetts Massachusetts Department of Elementary and Secondary Education and the National Association of State Directors of Teacher Education and Certification (NASDTEC). Graduates of our programs are eligible to obtain an initial teaching license in the member states on the basis of the Interstate Agreement. In many of the member states, the candidate seeking licensure will be required to pass examinations, such as the Praxis, in order to receive a teaching license. Teacher candidates should check with the Massachusetts Department of Elementary and Secondary Education in the states in which a license is desired to ascertain information concerning what tests are required. Licensure in non-member states can be obtained on the basis of a transcript approval process. Some additional course work may be required in those states.